I missed out on the debut of the Colourpop Ultra-Matte Lip Liquid Lipstick the first time around and it was a long and painful wait! I purchased 6 shades to try when they re-stocked and they are exactly what they say, An Ultra-Matte liquid lipstick. 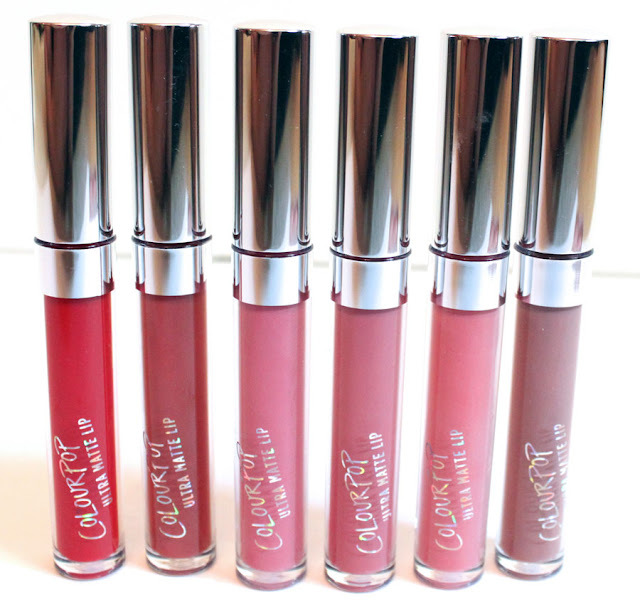 I have had nothing but raves over Colourpop but my thoughts were mixed on these. Some I loved, some I liked, and some were a definite No. 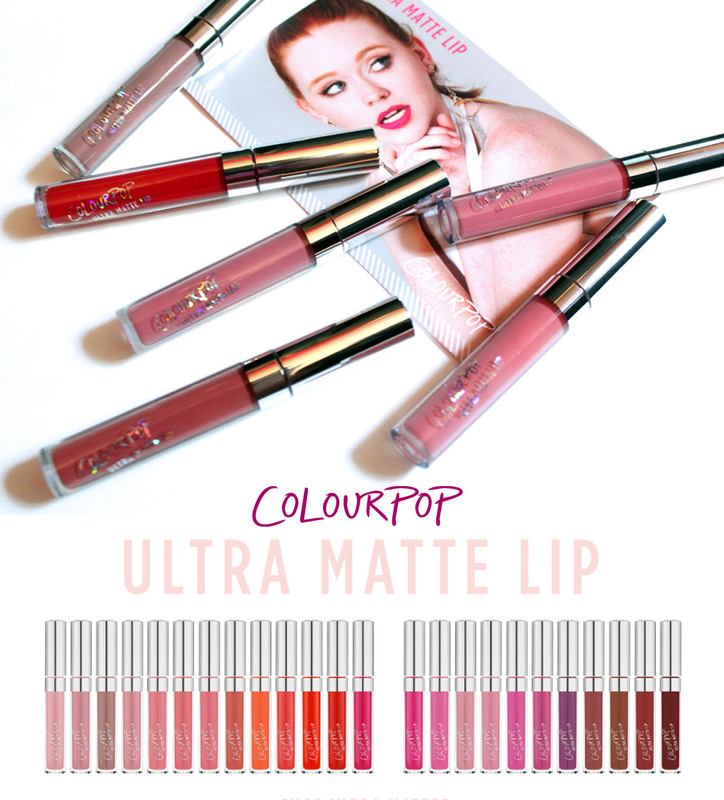 It really comes down to finding suitable colors and if you actually like a flat out matte lip. One indulgence I make time for each week is an at-home spa night. 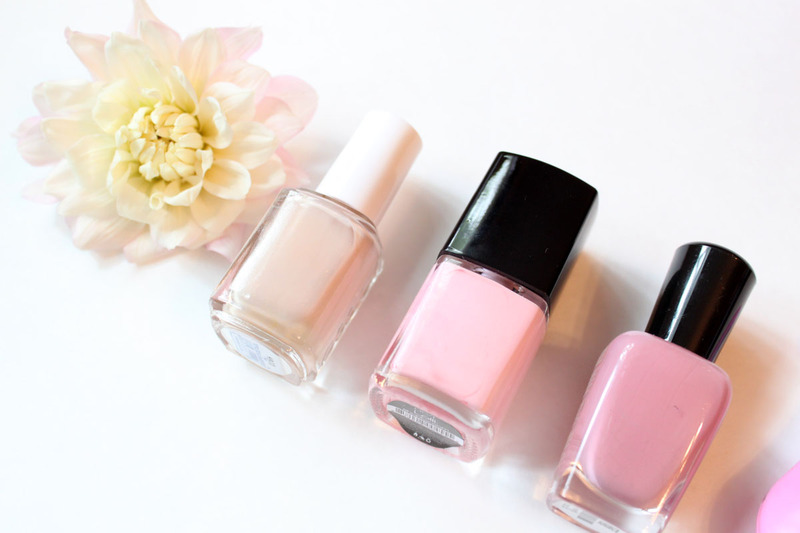 A couple evening hours of pampering that will make you feel unapologetically feminine. Life stresses, hectic schedules, and gloomy skylines all but slip away when you offer yourself up the luxury of relaxation. While the products I use change by need the routine usually does not. 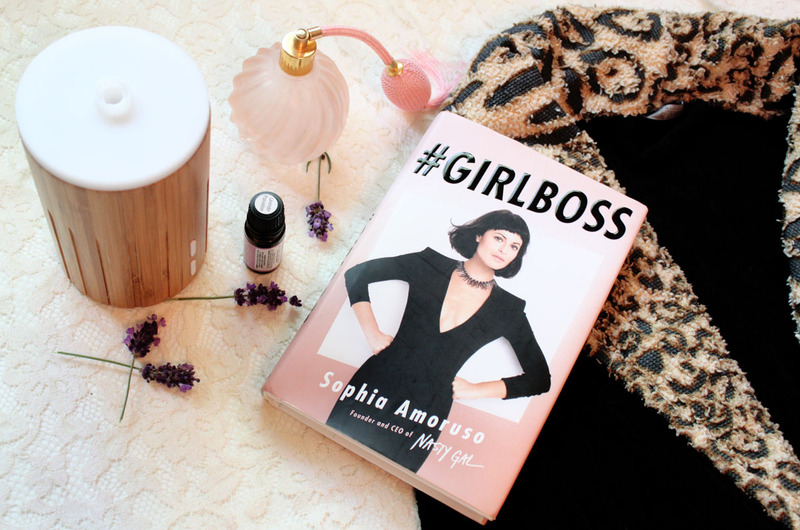 Here is how I like to have a weekly pampering night that will leave you feeling fabulous and renewed by the end of it. A proper spa atmosphere is not complete with out a scented candle. Everything is more satisfying in candlelight. I light up a comforting warm sweet vanilla scent. Add one part favorite drink to the mix. Go healthy with a green smoothie, wind down with some white wine, or relax with a cup of detoxifying tea - whatever beverage suits your mood. 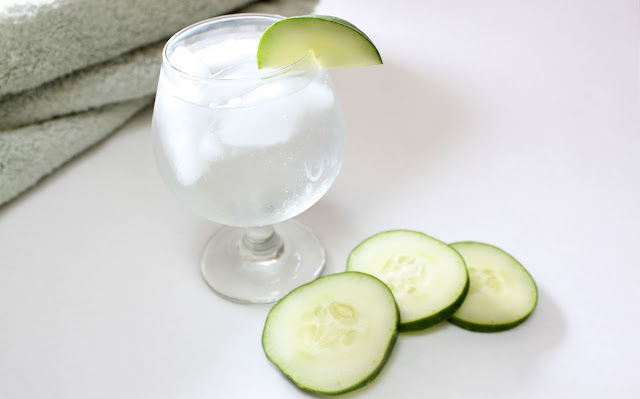 I enjoy making my own refreshing spa water by combining ice-cold purified water infused with slices of cucumber. 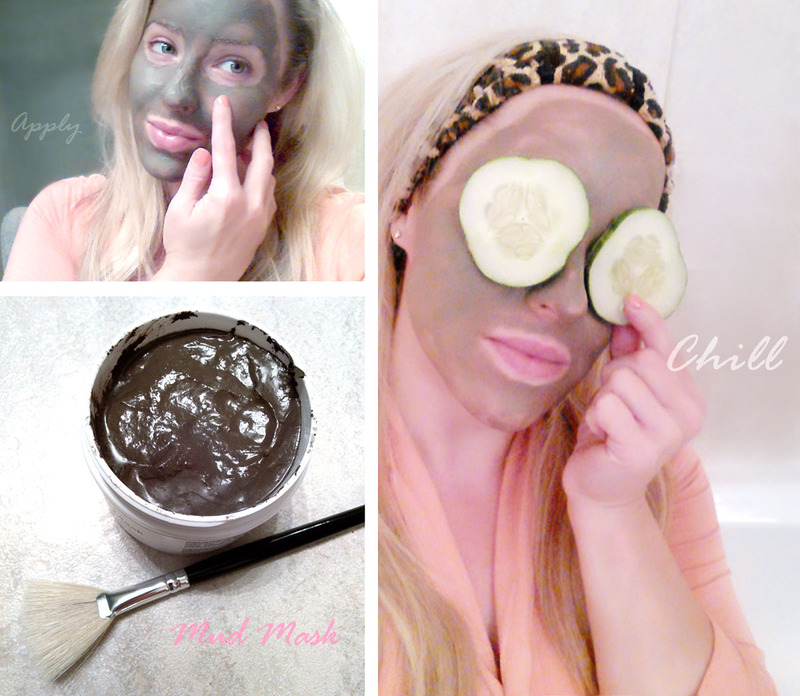 After finishing the hydrating drink save the cucumbers for a rejuvenating eye mask. Mani/Pedi time. Rarely do I visit the salon any more to get a pedicure when it is so simple and cost effective to do your own. I am not exactly sure what it is about painting your nails but the process is a sure way to feel extra glamorous. No fuss barely-there pinks and dusky mauve shades are how I like to wear my nail colors on a low-key night in. A long hot bath or shower is the heart of any pamper routine. Toss in a fizzy bath bomb, it is like champagne for your bath water. Caress® Daily Silk™ beauty bar is excellent for shaving. The moisturizing bar soap does a wonderful job of lathering up and gives a super smooth shave. The white peach & silky orange blossom fragrance is so alluring and lingers ever so sweetly on your skin afterwards. Exfoliating comes next. 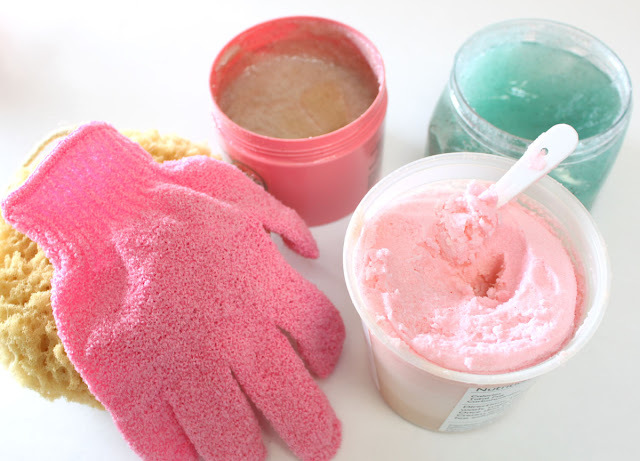 A sea salt or sugar scrub will remove any dead skin and prep your body for moisturizing agents. It is super easy to make your own straight from the kitchen too. Combine sea salt with coconut oil and a drop of essential oil and voila! Instant body scrub. The 20-30 minutes soaking away is the perfect amount of time for doing a skin mask and deep conditioning hair treatment. I make my choice depending on what kind of TLC my skin and hair are in need of. Nothing outdoes the classic crazy green mud mask though! 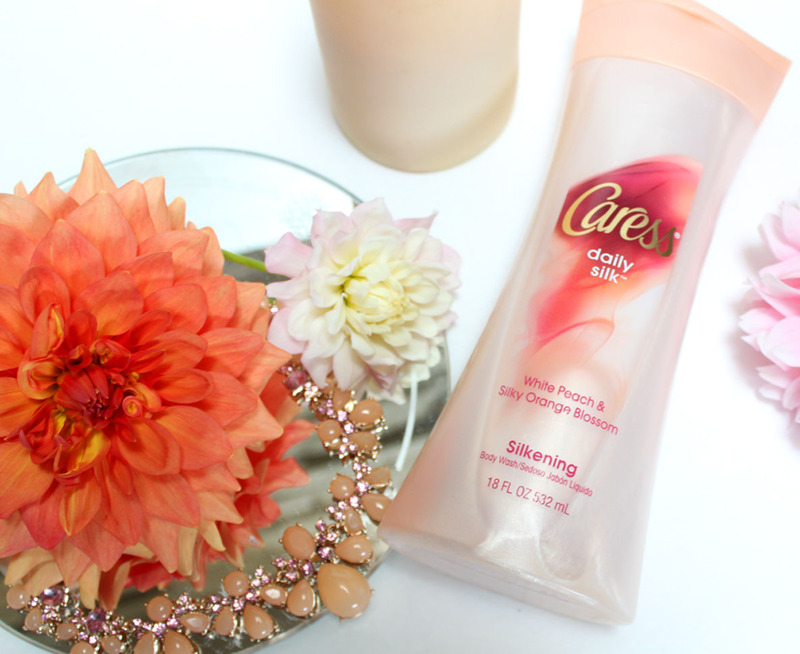 No matter what I mix and match for a spa night I always end my routine with Caress® Daily Silk™. The lavishly indulgent body wash blends rich lather and sophisticated fragrances all in one for beautiful and silky smooth skin. They transform your shower routine into an everyday treat. The fragrance cues of white peach and orange blossom are divine. 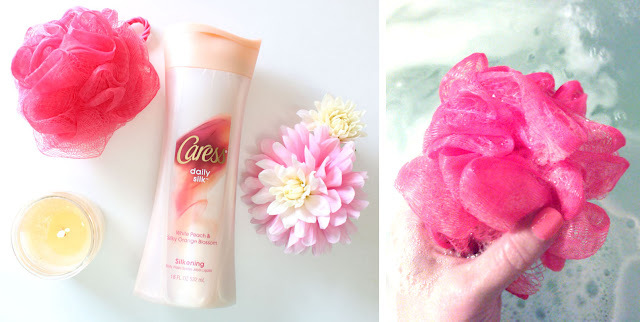 I absolutely love how silky soft the Caress® Daily Silk™ body wash leaves my skin. There is no need to even reach for an after-shower body moisturizer with this body wash, it is that good! To complete a lovely spa night I cuddle up in a fluffy robe with a good book. I add the tranquil scent of lavender in my aromatherapy diffuser to create a calm soothing environment before bedtime. 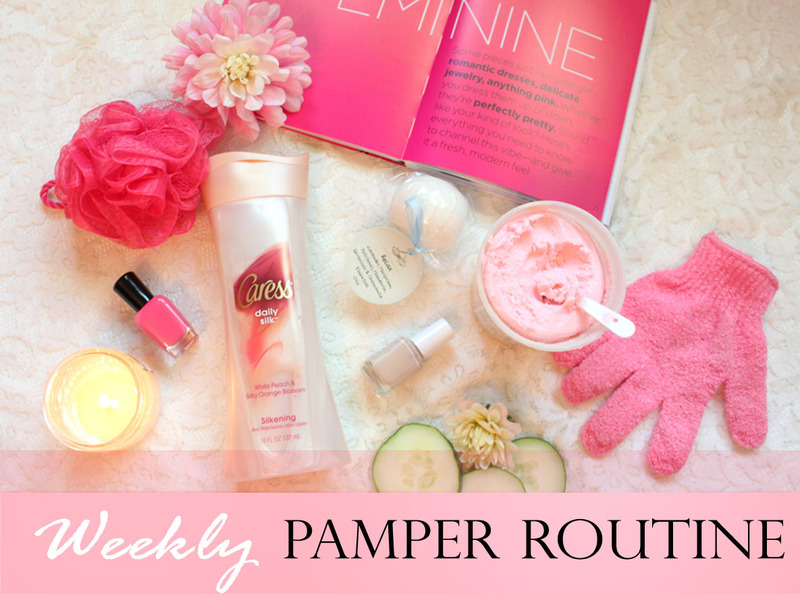 Having a pamper routine helps you to unwind, feel wonderful, and prepare for the days ahead. 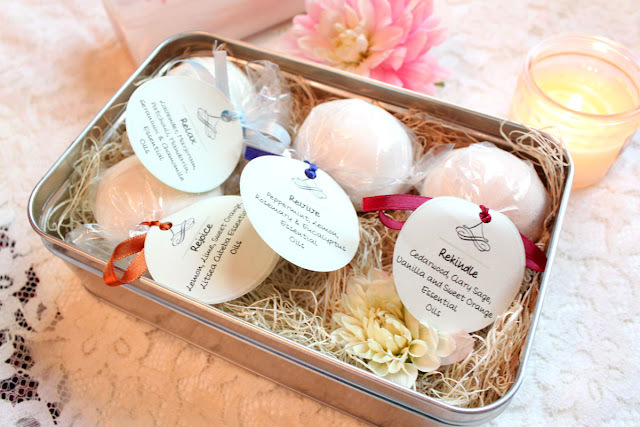 Plus who doesn't like to slip in to a hot bath and treat yourself to some really nice products? All of us deserve some 'me time' to relax and renew. Prepping for my upcoming Island vacation I was looking at my pale self thinking...this is not going to work! Even though it has been well in to the 90's almost all Summer sunscreen and air condition happened and I was left looking a little mismatched. Being pale doesn't bother me at all but it does increase the chances for a burn. WayTooTan caught my eye first for the quirky name and second because it is a silicone hybrid not your usual messy sprays and lotions. WayTooTan can be used anywhere! In tanning salons, indoors as a sunless product, or outdoors on the beach. It is perfect year-round and especially for those who like to tan outdoors during the spring and summer months. 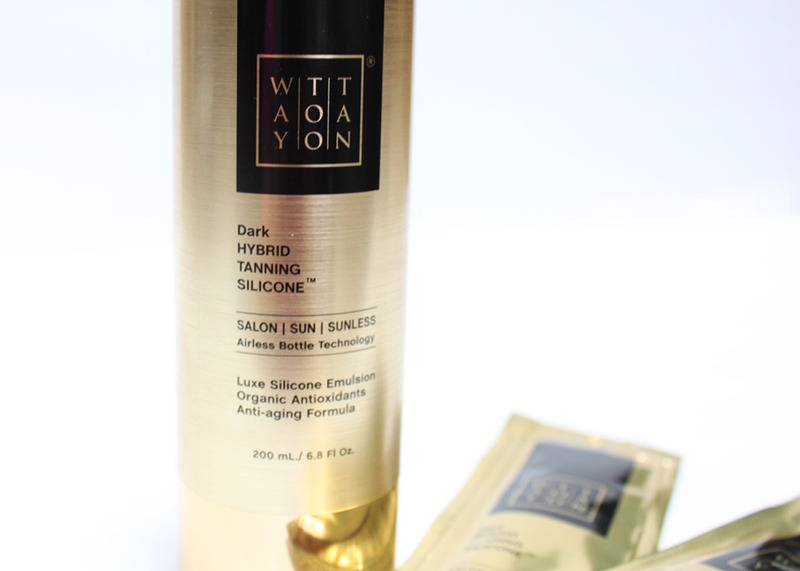 WayTooTan® Dark HYBRID TANNING SILICONE™ is a premium silicone emulsion offering a rich, luxurious sensation that includes multiple natural tanning enhancers for a fast, gorgeous and deep dark tan. Potent anti-aging organic antioxidants, including grape seed extract, help protect and promote a youthful glow and enhance skin health. Sodium Hyaluronate boosts moisture instantly and fights against aging by helping maintain skin elasticity and firmness, minimizing the appearance of wrinkles and leaving a radiant, smooth and silky texture. The last days of Summer means one last Vacation. I will be heading to my home away from home the beautiful Hawaiian Islands. Travel packing is something I have yet to master. I am guilty of being a chronic over-packer especially with beauty items. This time around I am trying to take an only what I "need" approach along with a few items geared towards Travel. With the weather still pretty hot every where right now Summer Beauty is still going strong. Keep Reading for My Beach Vacation Travel Favorites! 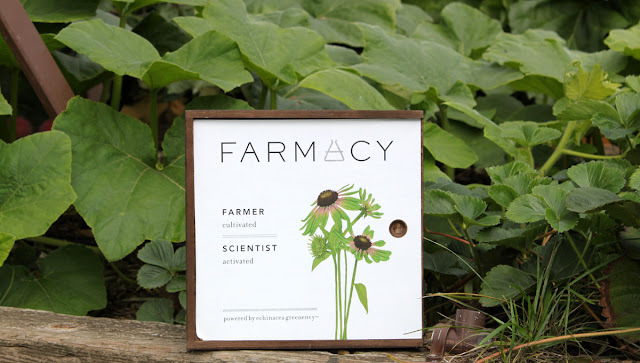 Farm-grown, hand-picked botanicals define Farmacy beauty, which fuses age-old wisdom with cutting-edge technologies to create irritant-free bioactive formulations that support the skin’s own renewal and defense cycles. 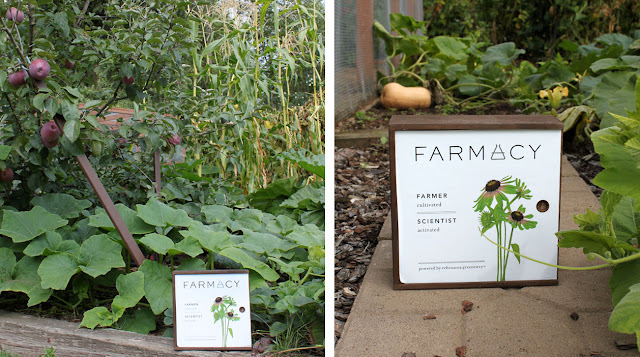 I really enjoyed doing this review because I was able to take photos in my own Organic Fruit & Vegetable Garden which is something I am also passionate about. The Hydrating Coconut Gel Mask is one of the first of its kind to be sold for at-home use and features the brand’s patented Echinacea GreenEnvy ingredient. 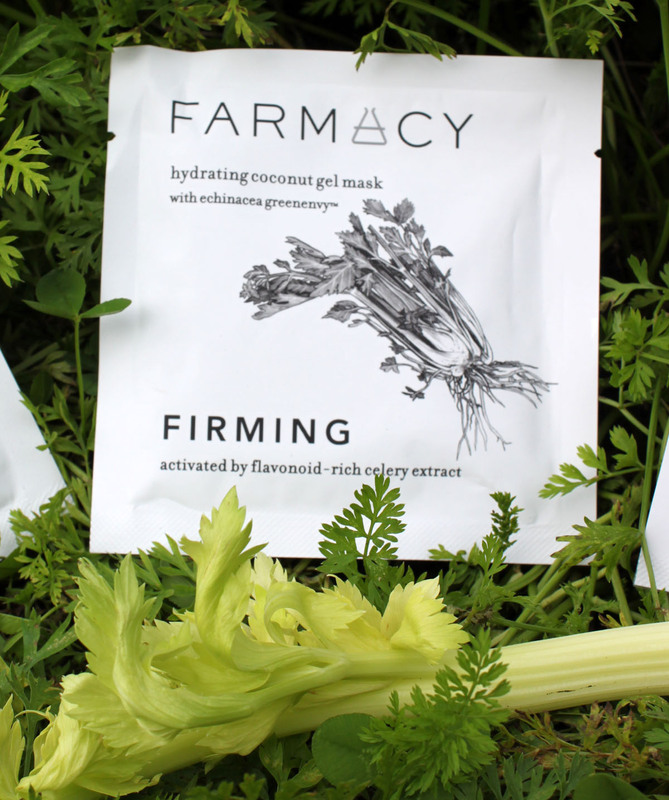 Farmacy Hydrating Coconut Gel Masks ($24 for pack of 3) Supercharged, targeted skin solutions activated by potent, farm-fresh vegetable extracts. Coconut gel provides intensive hydration and restores the skin’s balance. Next the bio-cellulose sheet releases its complex of components to provide the skin’s surface layers with a penetrating surge of active ingredients. 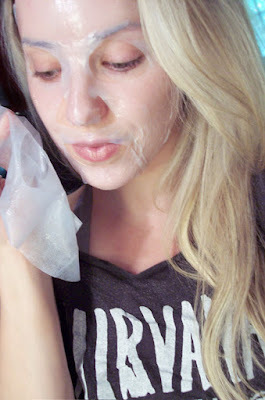 Using the Brightening Coconut Gel Mask was a true spa experience at home. I love sheet style masks like this because they provide a barrier to lock down and penetrate your skin with all of those good for your skin ingredients. The coconut gel provides intensive hydration and restores the skin’s balance, while the bio-cellulose sheet releases the complex of components to provide the skin’s surface layers with a penetrating surge of active ingredients. The Firming Mask helps restore the appearance of radiance, moisture, and tone. Celery extract protects essential skin support fibers by helping combat the free radical activity that damages them. Celery’s high flavonoid content assists in controlling the appearance of fine lines and wrinkles and the loss of skin firmness. 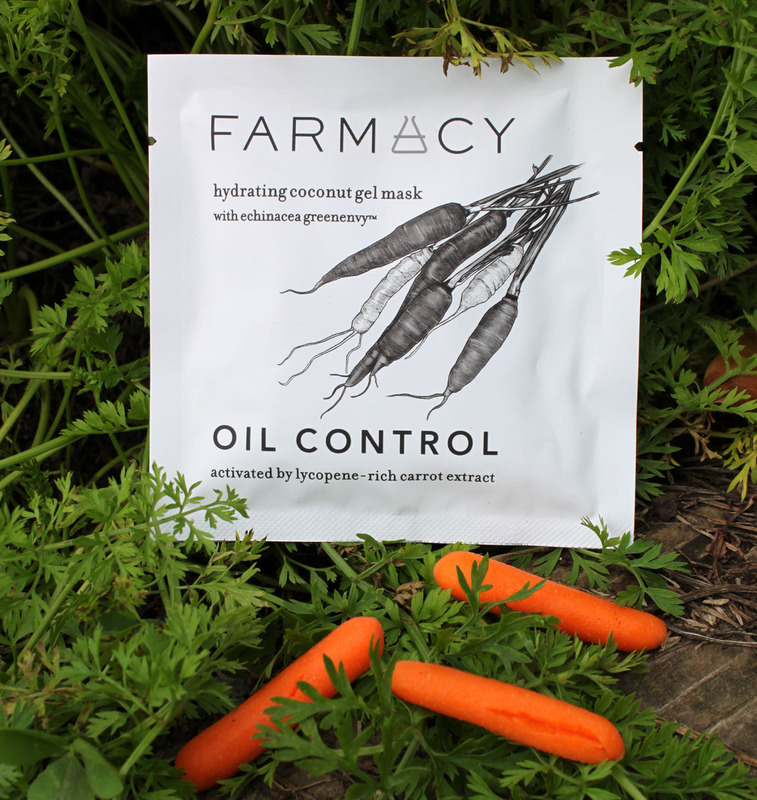 Carrot extract contains lycopene, which is believed to control the over-production of sebum, helping normalize the elements that contribute to oily, problematic skin. It is also a powerful antioxidant that neutralizes harmful free radicals. This hydrating mask reinforces the skin’s natural barrier function, leaving it super-hydrated, plumper, and smoother. 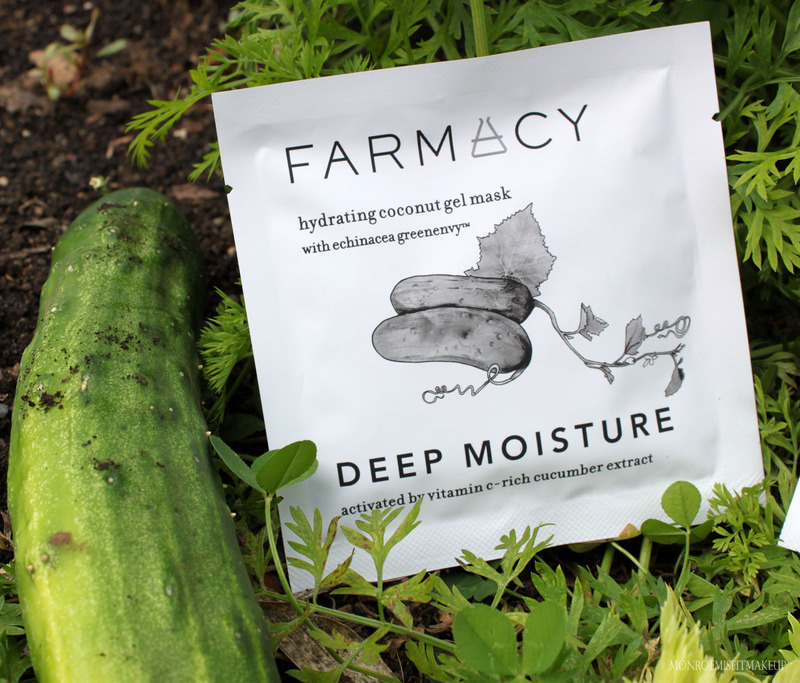 Cucumber extract delivers high levels of vitamin C, which assist in helping to maintain moisture levels. Cleanse and tone the skin. Remove the protective film from one side of the mask. Place the mask on your face and smooth over surface. There are two sides of the mask to remove. Remove the blue layer first, apply to your skin and then peel off the clear film. Leave the mask on for 20-25 minutes for the best results. Remove and gently massage excess formula into the skin. There is an abundance of Gel in these masks so I like to take the excess and apply it to the body. You get a face & body treatment in one. A t.v. show later and my skin felt softer, tightened, with an overall brighter and clearer appearance. It felt like life was put back in to my emotionally stressed skin. Puffiness had diminished some and my makeup went on much more smoothly. The scent is vibrantly fresh and invigorating unlike the usual chemical laden scents we are used to in skincare. 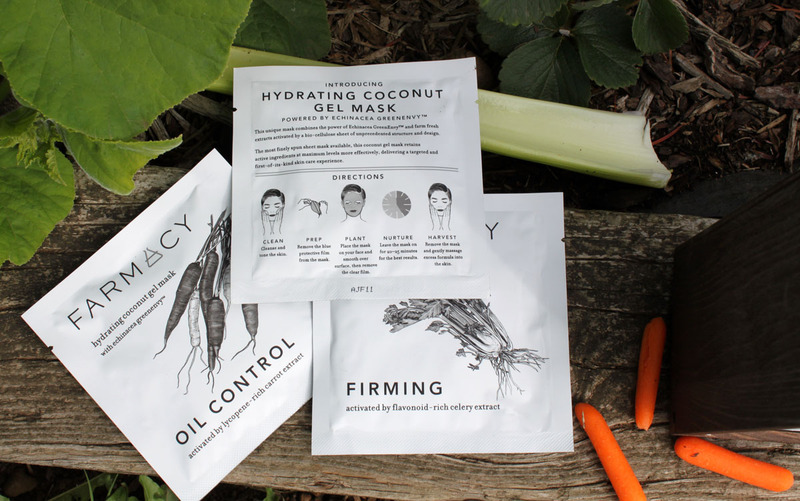 Farmacy Masks are the green smoothie for your face. I absolutely love how healthy my skin feels after using these masks and they are so relaxing to put on and kick back in. I have already added more to my SEPHORA wish list, Spa Night staple for sure! 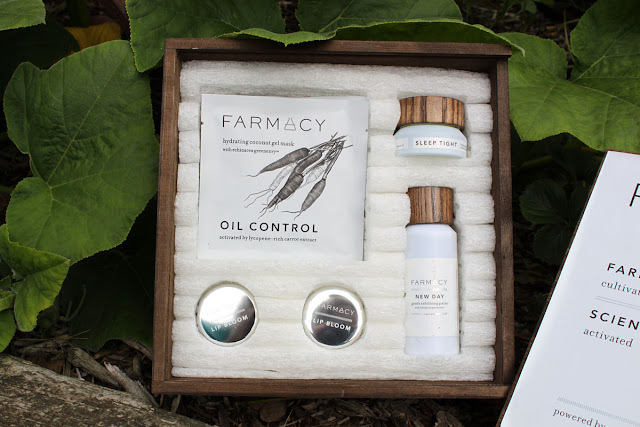 The box set Farmacy sent over was quite possibly the most thoughtful and sustainable beauty package I have ever received. It arrived capsuled in this beautiful wooden box with composted Green Cell Foam. Along with the masks were a sampling of the skincare line. I immediately put on the Lavender Mint Lip Bloom and it is divine. 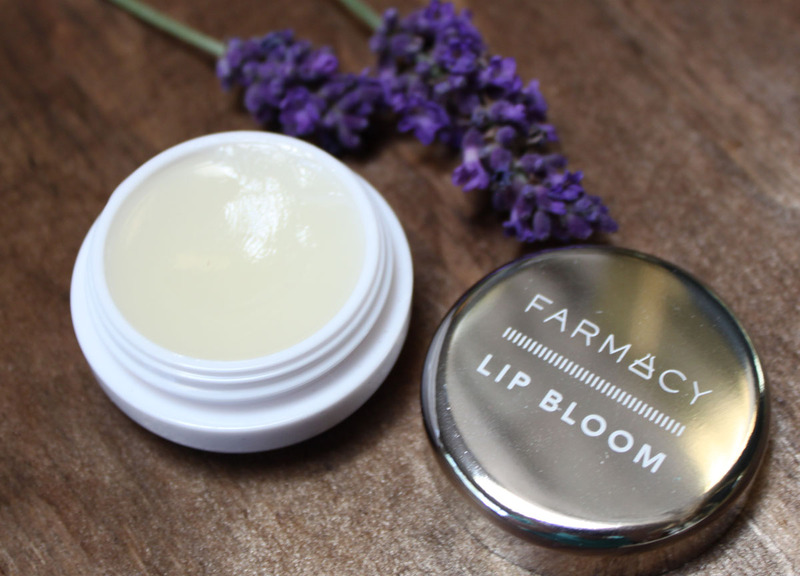 A soothing herb-infused balm that replenishes moisture and forms a protective barrier for smoother, softer, and fuller lips. My lips were wrecked after some matte lipstick swatching and this fixed them right up. The formula is luxuriously thick with a light taste of authentic mint and hints of lavender. 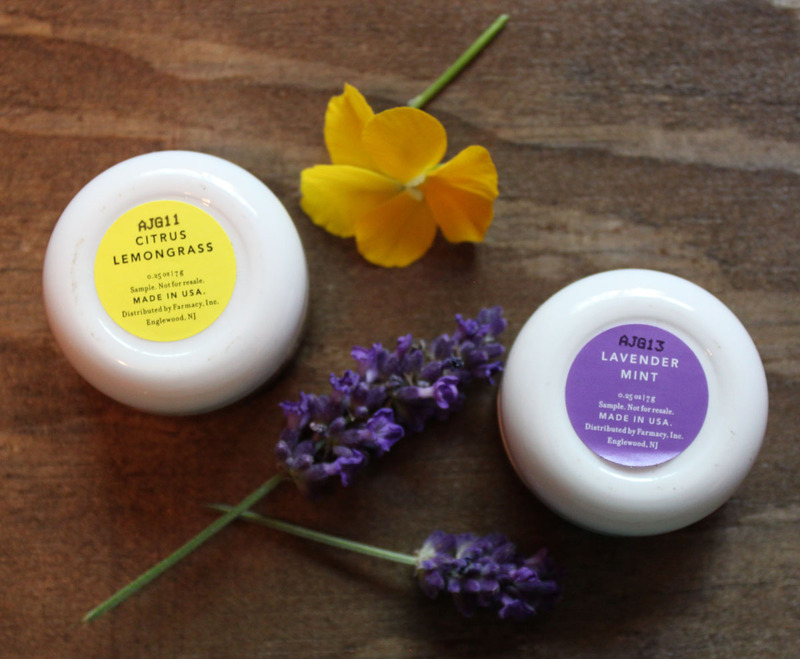 There are six different Lip Bloom flavors in all including Citrus Lemongrass, Strawberry Basil, and Apple Rosemary. They all sound sooo good how do you even choose right? New Day gentle exfoliating grains are innovative cleansing grains that transform in to a foaming exfoliating cream with water. The Sleep Tight firming night balm gentle oil-gel night treatment tones, firms, and restores elasticity while also reducing the appearance of fine lines and wrinkles. I am looking forward to testing both of these out. With the crisp Fall night air taking hold exfoliation and extra moisture is a must. Can't forget to mention all of their products are free of artificial coloring, free of formaldehyde, derived from natural ingredients, free of parabens and not tested on animals. 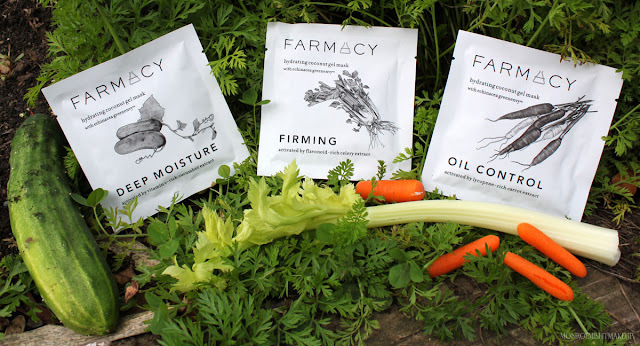 Farmacy is a new kid on the block that has already proven itself solid. A farm to face skin care line that I feel great about using inside and out. If your hair is having issues it's pretty much guaranteed there is a product in the Pureology line to fix it. Nano Works Gold is the ultimate apology to your colour-treated hair. When I visited my Stylist last she put her hands through my hair and said...you have breakage. 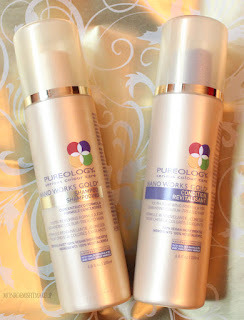 Que the :( She recommended I switch over to Pureology Nano Works Gold. After using this for the last few weeks my hair has never felt better! 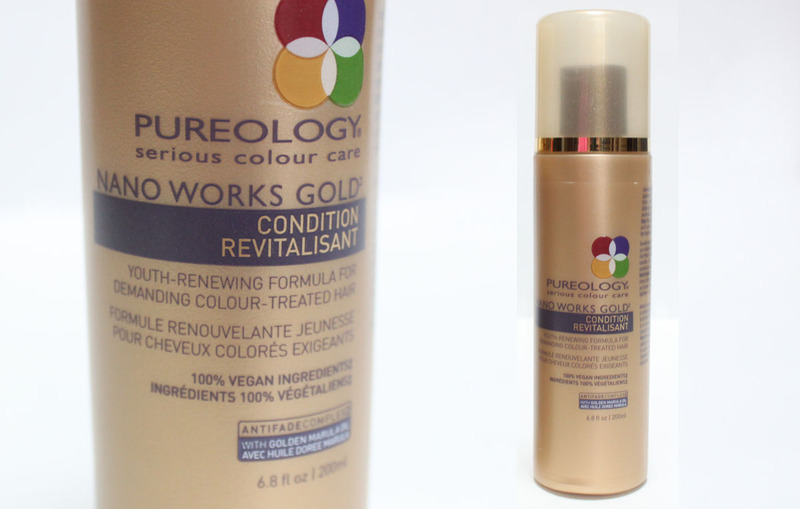 Pureology Nano Works Gold is a daily does of luxury for mature and aging, colour-treated hair. 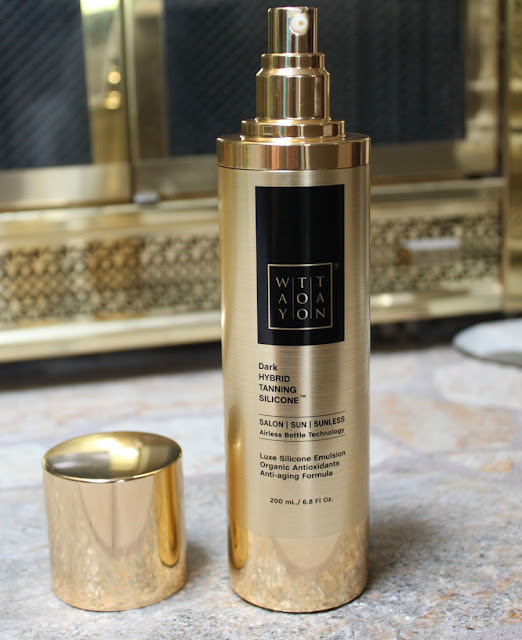 Rich, transforming formulas restore youthful movement, suppleness and shine. Fortifying Keravis strengthens hair on the inside and Golden Marula Oil nourishes and protects hair on the outside. Nano Works Gold features Golden Marula Oil, which is ultra-light and fast absorbing, leaving hair hydrated and protected but never greasy. Marula Oil is known to have endless benefits for hair and scalp. Keravis helps strengthen and repair while fairly-trade Golden Marula Oil provides hydration, protect and rejuvenation. Manageability Sustainably sourced Shea Butter provides moisture and movement for mature and aging colour-treated hair. Body Decadent lightweight textures won't weigh hair down. Luster Vitamin B complex helps create an even surface for optimal hair shine. 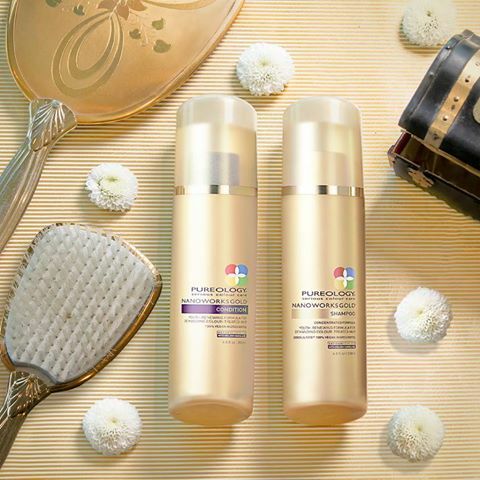 Protection Our exclusive AntiFade Complex with vitamin E and UVA/UVB filters and Golden Marula Oil with it's high antioxidant content protect colour vibrancy. This concentrated ZeroSulfate (sulfate free) formula, with AntiFadeComplex is gentle enough for daily use to restore and protect mature and aging color-treated hair to give suppleness and shine. This shampoo is luxurious and effective with only a small amount needed. At $44 for a small bottle that is a good thing! Being sulfate free you won't get a big lather from it, but I've learned that lather doesn't mean better. Both the shampoo and conditioner smell amaaaazing. A soft clean decadent vanilla scent that isn't over powering. My hair feels clean and moisturized after I use this shampoo. Not overly silky or stripped, just cleansed, repaired, and prepped for the conditioner. Nano Works Gold Conditioner luxuriously conditions and renews demanding color-treated hair to deliver anti-aging benefits. It instantly detangles and leaves hair exceptionally fortified. Intensely nourishes damaged and aging hair adding softness and shine. This conditioner is worth its weight in gold. The formula is super light yet richly creamy. You get that intense deep conditioning like you would from a mask or treatment. My hair feels repaired, soft, and shiny. It detangles so well that a detangling spray isn't even necessary. Even though Nano Works Gold is not a volumizing shampoo my baby fine hair gets such a boost from this and tons of lightweight movement throughout. The repairative conditioner is light enough that it can be used daily. Nano Works Gold Conditioner is a Good Hair Day in a bottle. I have been using this duo twice a week for the past month and have seen a remarkable difference. My hair looks and feels healthier and I am no longer seeing breakage or excessive shedding. I combine Nano Works Gold along withe the Pureology Pure Platinum line to keep my blonde looking fresh. 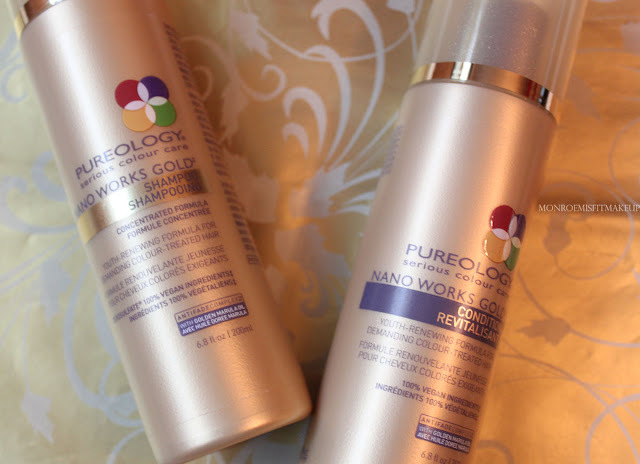 Nano Works Gold IS like liquid gold, I feel confident that my hair will be back to healthy in no time. Find Pureology NanoWorks Gold ($44-$128) at ULTA. 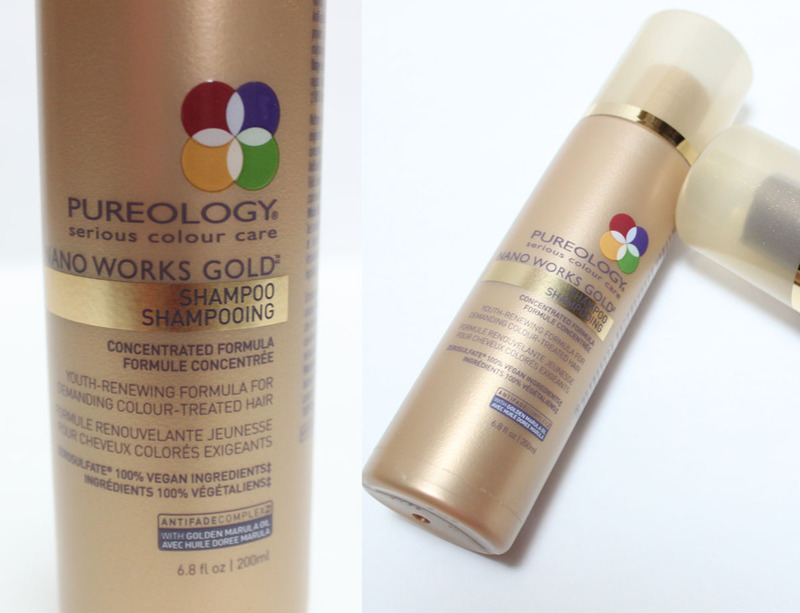 Visit Pureology.com/where-to-buy to find a salon, book your next appointment or buy Pureology Nano Works Gold from your local salon. sample provided for review consideration and purchased myself. As one of TRIA Beauty Beauty Bloggers I have been doing weekly treatments with the TRIA 4x Laser Hair Removal System over the Summer. 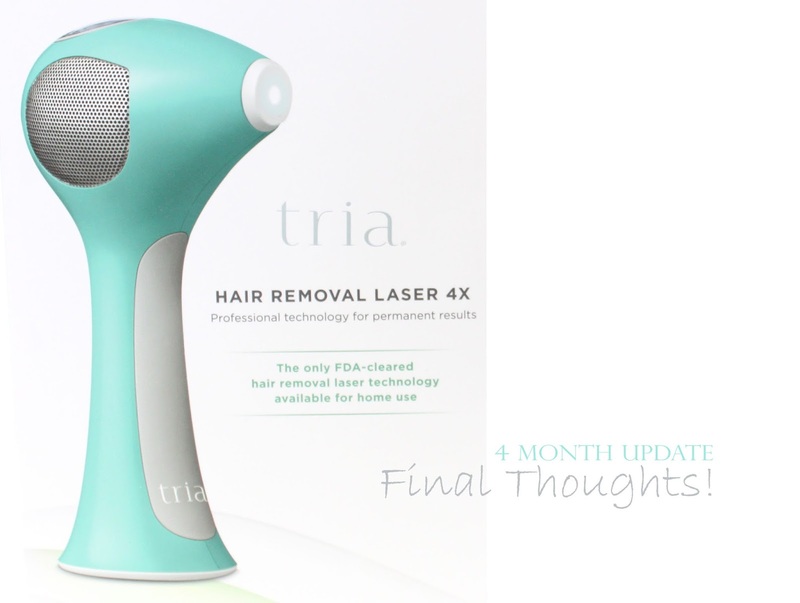 The TRIA 4x Laser is The first and only FDA-cleared hair removal laser available for home use. The countdown is over and I can fully say I am a believer. This is one beauty product that lives up to its claims! TRIA is also giving my readers a special extended discount between 9/9-9/22 to purchase the 4x at a discount! Use code VIPBLOGGER at triabeauty.com for 10% off purchase of the Tria Hair Removal Laser 4X + complimentary beach bag + complimentary Tria sunscreen + $25 Tria Gift Card for your next purchase. An added value of $160! Click here to shop! When I first saw the Laura Geller Baked Gelato Swirl Blush & Illuminator I almost passed it over deeming them too pretty to use. The vivid shimmering shades were so Summer-esque I got past messing up the intricate swirls and have dipped in to these beauties all Summer long. Pretty in the pan and even prettier on the face. Illuminate your natural beauty! This innovative hybrid texture applies like a sheer powder but feels like a cream, creating a translucent wash of luminous color that can be swept all over the face for a lit-from-within glow. A fresh 3-D design captures the look of your favorite Italian dessert, and lasts until the very last application. Gilded Honey is a effevescent caramel honey. 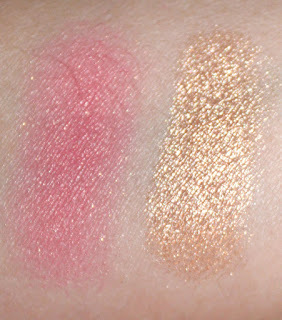 A mega-watt pigmented glow that is stunning for nights out, great with a tan, or if you just really like to really glow! 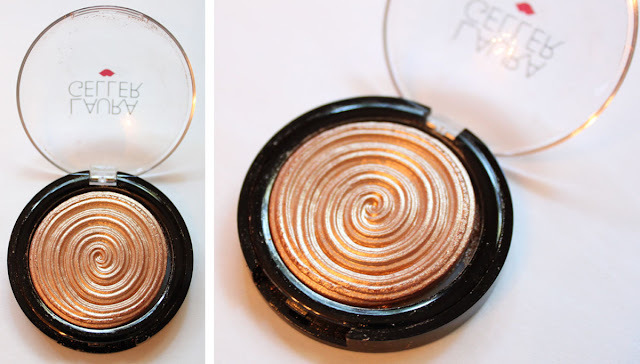 The glow is more mettalic than glittery adding such dimension to the face. I was a bit worried the gold would be too much for me but it is suprisingly natural on and is one of the prettiest highlighters I have. Gilded Honey is also gorgeous on the eyes. 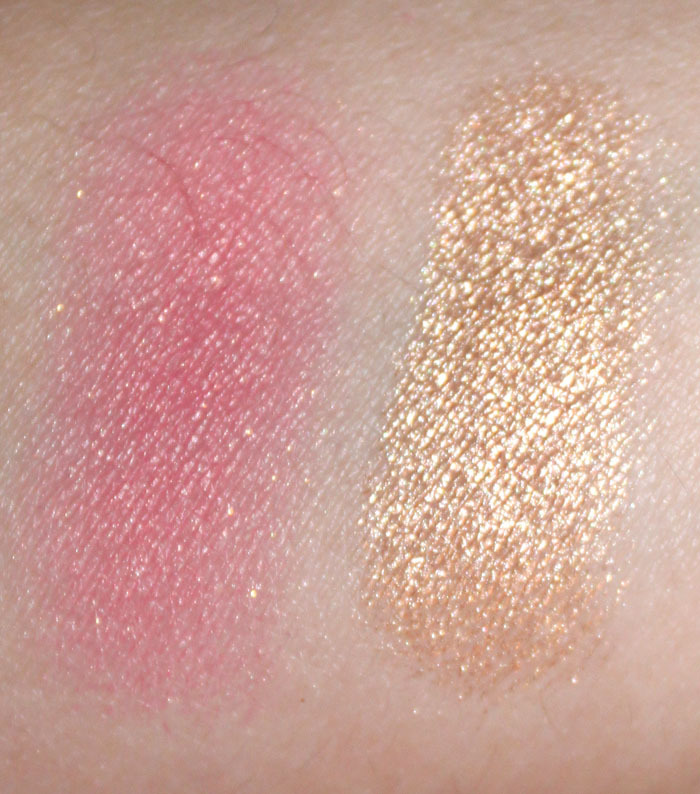 Laura Geller does beautiful highlighters, Ethereal Rose Glow is another one of my favorites. Indulge in creamy swirls of Italian gelato with every application of Baked Gelato Vivid Swirl Blush. The fresh 3-D design captures the look of this decadent frozen treat, and lasts until the very last application! The innovative hybrid texture applies like a powder but feels like a cream, creating translucent, vibrant color for a flirty, natural-looking flush. 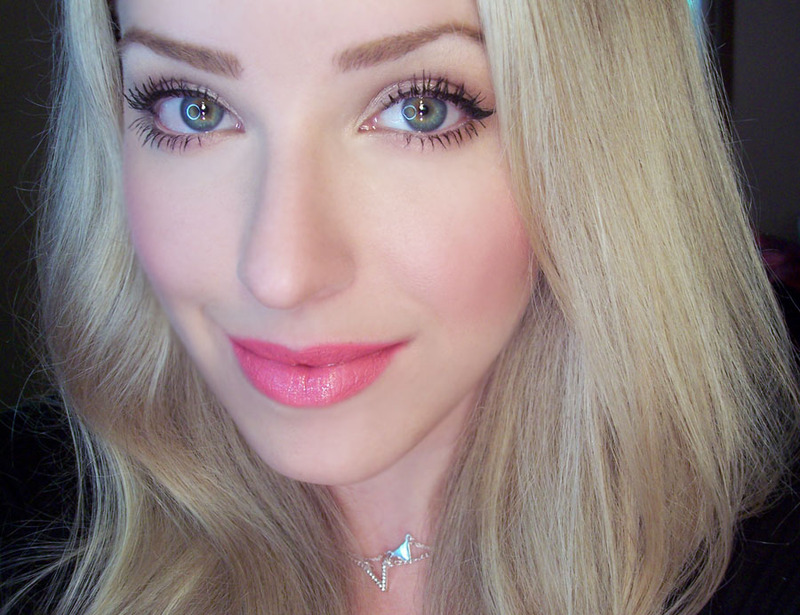 RoseWater is a warm medium pink blush with just a hint of shimmer. It is the perfect rosy glow! The texture is creamlike which then transforms in to a silky fine powder that melts right in to the skin. It blends to an almost airbrush finish with a flat or duo fibre brush. I want every one now! I had been so worried about messing up the swirls but the texture is firm and even after many many uses the swirls are still there. 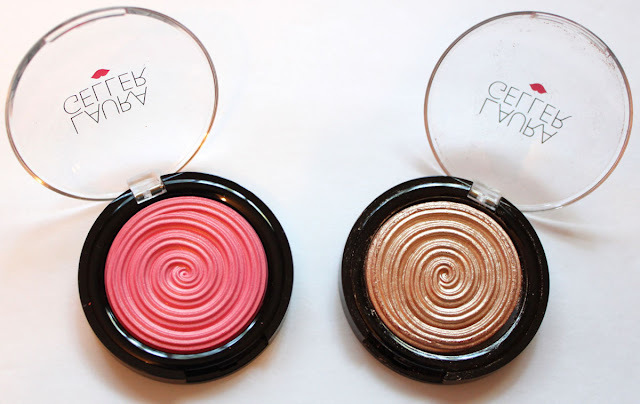 Both the Baked Gelato Blush & Illuminator are stunners. The lasting power is excellent being fade-proof for a good 6 hours or more. The color selection is fresh, vibrant, and they both give off the most beautiful glow especially worn together. Baked Gelato Swirl may look too pretty to use but you will definitely want to use them!